The saying goes, the early bird gets the worm. 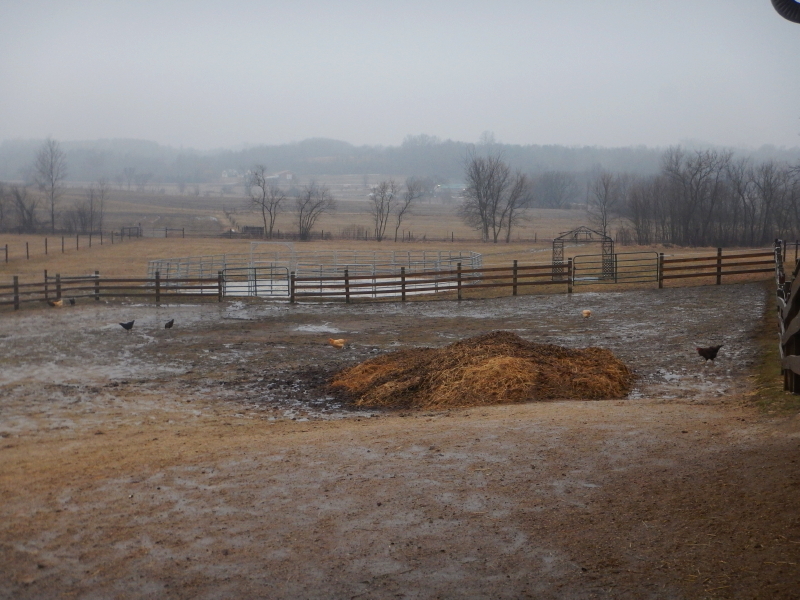 The ground has barely thawed, but the chickens made a mad dash out of the coop this morning to scour the sloppy paddock for something. Are the worms already out and about? I peeked out from under the overhang to see how wet it was because the sound of the rain on the metal roof of the barn made it sound like it was pouring. The land is already saturated by the spring thaw, so, even though this April shower slowly moving across our region has been gentle, it has triggered some substantial flow in all the drainage swales. Water, water everywhere. It always causes me to think about the people down stream, on the rivers being fed by countless other drainage tributaries. Sorry, you guys. Maybe all the water will carry some worms for your chickens to find.